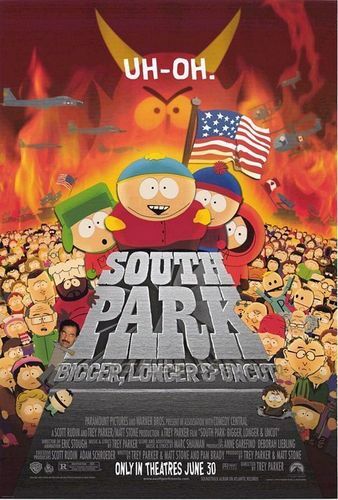 South Park: Bigger, Longer and Uncut DVD cover. The South Park movie DVD, with all the characters in the background as well as the main cast in the front.. HD Wallpaper and background images in the South Park club tagged: south park stan kyle cartman kenny satan chef canada terrance and phillip uh-oh. The South Park movie DVD, with all the characters in the background as well as the main cast in the front.